Happy Heartfelt Wednesday everyone! Today is February release day at Heartfelt Creations. This month is the Sunrise Lily Collection! Rich and regal in appearance, along with a divine fragrant beauty and ornamental trumpet shaped blossom makes the lily flower a well known garden variety and a sure sign that spring has sprung. 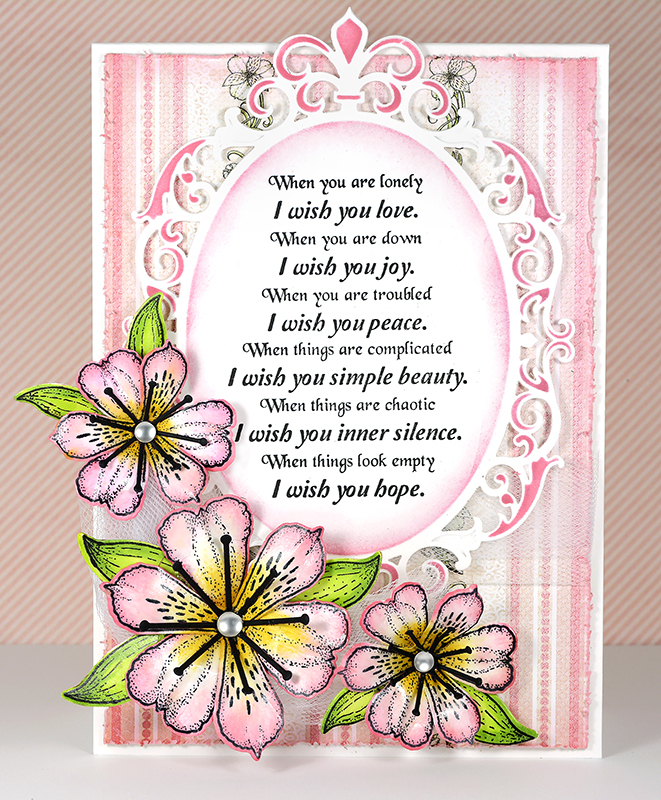 Heartfelt Creations invites you to prepare to welcome the season of new beginnings, fresh starts and the bursting forth of nature with the new Sunrise Lily Collection. As the title of this assemblage suggests, it is filled with the romantic hues of a beautiful sunrise or sunset…glorious shades of pinks, oranges, and yellows which also reflect the stunning color palette of the lily blossoms as they appear in the gardens themselves. Ravishing shades of greens, creams and whites bring a crispness and a breath of fresh air just as the spring season itself. Patterned papers reveal regal ornamental iron like scroll work, dainty lace elements and lovely vintage like floral details. 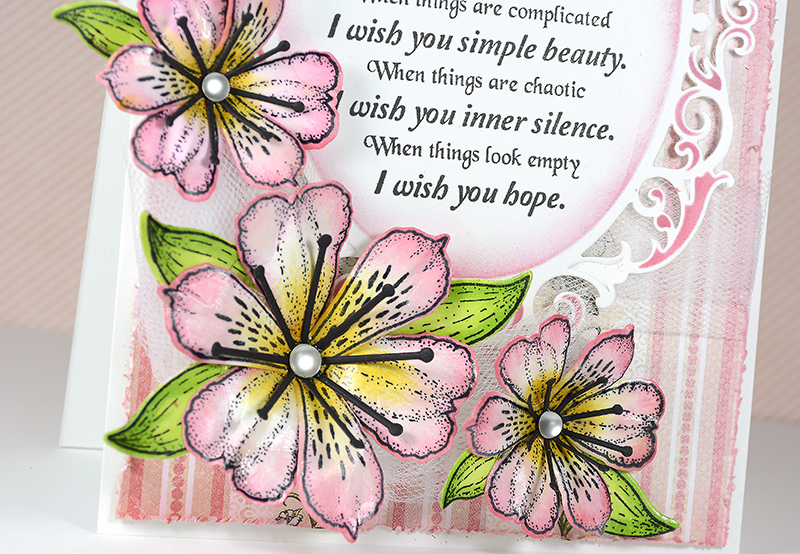 Beautiful imagery of lily filled vases, pretty flower adorned garden hats and luscious floral bouquets grace varying sized card panels, scrapbook layouts and embellishment tags, and are replicated in five sets of delicately detailed stamp illustrations. The crowning glory to the collection itself is the dimensional lily flower that will add a touch of reality to each of your springtime creations. So, chase away those winter blues brought on by old man winter, combat spring fever by filling your creative space with a touch of splendor as you begin creating with the Sunrise Lily Collection for the upcoming spring and Easter season. The Lilies in this collection are beautiful and versatile! Lots of detail in the stamp just brings the lilies to life. This collection is perfect for all your Spring projects; plus with just a change of color your lilies can transition into the other seasons! The Heartfelt Design Team has gone all out with this collection so be sure to stop by the Heartfelt Blog for more inspiration and ideas! There’s Only One Like You!